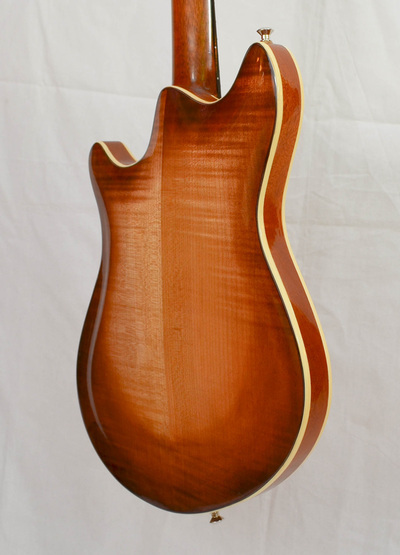 The Viacali"JK" is a 24-fret, semi-hollowbody electric guitar with carved curly maple top and back, and two large acoustic chambers behind the f-holes. 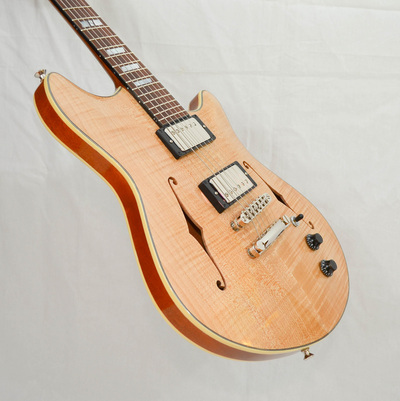 The shape is a Viacali original, inspired by the Fender Starcaster, Gibson ES-339, Languedoc G2, and the funky quirkiness of many Supro electric guitars. 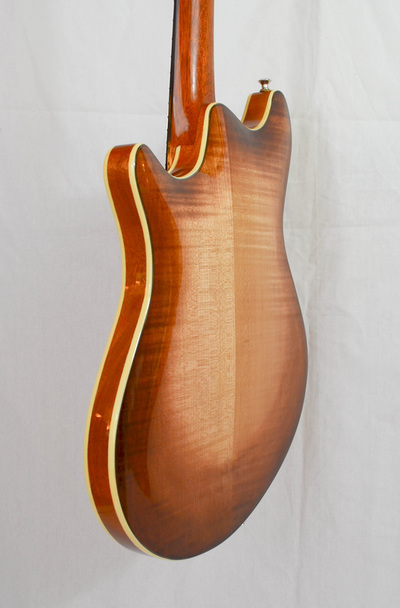 The guitar pictured below is the result of a fully-collaborative design process, with continual client engagement over the 4-month build timeline. 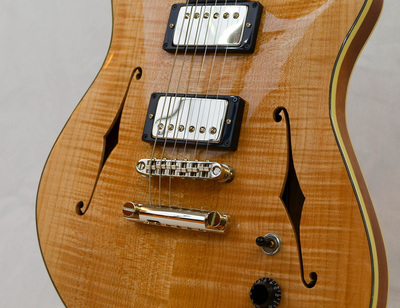 Every finish detail, from the color of the body and neck binding, to the choice of headplate wood, to the style and position of fingerboard markers was discussed together. The back of the guitar features a tobacco burst that accentuates the grain of the curly maple. Upgraded electronics on this guitar include Bare Knuckle humbuckers wired through a Free-Way switch that gives 6 distinct tonal options with only a single switch. The minimalist controls (1 switch, 1 volume knob, 1 tone knob) allow the player to focus on making music.